Round Pond Estate, owned and operated today by the second generation of the MacDonnell family, is a Rutherford farm and winery that specializes in the creation of pure, expressive wines, artisan foods, and unforgettable experiences all from the heart of Napa Valley. In addition to a state-of-the-art winemaking facility and 366 acres of vineyards, the estate includes 5 acres of organic gardens, 12 acres of olive orchards, and one of only two olive mills in the region. 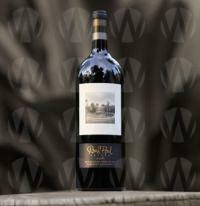 The high quality Rutherford Cabernet Sauvignon and Sauvignon Blanc, artisan olive oils, red wine vinegars, and flavorful citrus syrups of Round Pond Estate reflect the MacDonnell family´s dedication to sustainable farming and production. They have made their farm-to-table philosophy a way of life, and together with their Estate Chef and Master Gardener, the family enjoys nothing more than sharing the bounty of the farm with guests. They are excited to offer extensive visitor programs that provide a range of inviting live like a local experiences. Tasting Room Size Medium Tasting Room Atmosphere From the vineyard to the crush pad, discover the secrets of great handcrafted winemaking with a guided tour of our winery. Led by one of our friendly and knowledgeable wine educators, this fascinating tour culminates in a delicious tasting featuring a selection of our estate-grown wines and a sampling of decadent wine-friendly appetizers. View from Tasting Room: With a lovely second story tasting lounge and a covered terrace offering panoramic views of the vineyards and the Mayacamas Mountains, our winery makes for an ideal winery and garden destination in the heart of the Napa Valley. Wine Education: Each tasting is accompanied with food pairing and curated by a personal wine educator at your table. Food Available: Chef Jamie Prouten uses estate gardens and seasonal ingredients to create food pairings that enhance our unique wine tasting experiences.